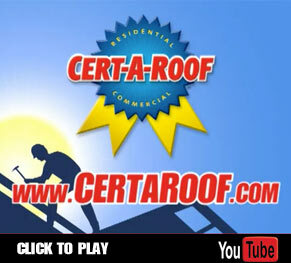 What makes Cert-A-Roof Roof Inspection different? Cert-A-Roof maximizes roof life by using its patent-pending LeakFREE® Roof Inspection process to inspect the roof. Throughout the whole roof inspection process, photographs are taken by our NRCIA-certified roof inspector to document any evidence of areas that are leaking right now, or that are likely to leak in the future. After any and all photos have been taken and the roof has been fully inspected, the roof inspector puts together a thoroughly written roof inspection report within 24 hours, that includes photographs, areas that are causing problems, ways to correct these problems, and price estimates that can help you when you try to buy, sell, finance, or to insure your home. Now serving metro San Diego! There are many reasons a roof might leak and the purpose of an inspection with Cert-A-Roof is to expose these problem areas if they are present. Cert-A-Roof’s main goal, though, is to qualify the roof for a LeakFREE® Certification if they are not present. Either way, you will have better protection and peace-of-mind because at the end of the roof inspection, you would be well on your way to getting roof assurance. The Industry Leader in the entire roof inspection, repair, & certification process. Our patented LeakFREE® system guarantees your home in Los Angeles, Orange County, Riverside, San Bernardino and San Diego area will be ready for sale or enjoyable living in 3 quick and easy steps. All Cert-A-Roof roof inspectors and contractors are NRCIA certified and trained to perform inspections and issue LeakFREE® Certifications for all residential and commercial roofs.